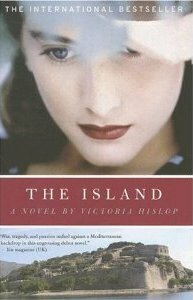 Victoria Hislop's The Island has been sitting unread on my bookshelf for the past few years, for no particular reason, and it caught my eye again while I was considering my letter V pick for the alphabet challenge. A former Richard & Judy Book Club selection, it hit #1 on British bestseller lists and has recently been made into a miniseries for Greek TV. It even has its own Wikipedia page. Living in the U.S., I missed all the hoopla. The Island came out here in 2007 to little fanfare, but its broad appeal is understandable. In many respects, it hits the right notes: a multigenerational saga focusing on women's relationships, its near-400 pages overflow with incident and drama. 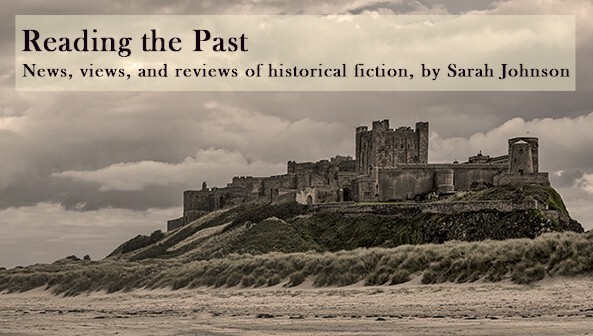 Along with the modern-day heroine, readers uncover the painful family history that her mother has kept hidden for decades, an engrossing story gradually revealed. Such are the ingredients for a typical beach read, but it's made notable by its skillful evocation of a previously little-known setting, Spinalonga, an island off the coast of Crete that served as a leper colony for most of the 20th century. While on a vacation to Greece with her arrogant and annoying fiancé, Alexis Fielding leaves him behind for a few days to visit Plaka, in northwestern Crete, the village where her mother Sofia was born. Here an old family friend, Fortini, spells out for Alexis the reasons behind Sofia's desires to leave her homeland behind and start anew in London. The majority of the narrative spans from 1939 through the late '60s, explaining how Sofia's family story intertwines with that of Spinalonga. It begins as Alexis's great-grandmother, Eleni, is banished to the island after contracting leprosy, leaving her great-grandfather, Georgiou, to raise their daughters on his own. The tale proceeds through World War II, a time when residents of Spinalonga were spared the traumatic occupation by German forces that Cretans were forced to endure, and continues as Eleni's children, Anna and Maria, follow very different paths in romance and in life. Victoria Hislop writes with warmth and sensitivity about Spinalonga's residents and the self-contained community they build together. Although few expect to leave - a cure for leprosy seems far distant - the island, with its vibrant flowers and bustling storefronts, is far from the prison most of them envisioned. The coming of a movie theatre and the founding of a newspaper means their minds are kept occupied and entertained. Georgiou, the boatman who ferries supplies out to the island, never forgets his beloved wife, though many of Plaka's other citizens feel ashamed of their connections with Spinalonga. The island becomes a place of acceptance for people rejected by their home, and Eleni's determination to give its children a proper education is one of many moving triumphs. Where The Island falters is in its characterizations, which aren't exactly nuanced, and its occasionally awkward writing style. The constant point-of-view switches, sometimes within the same paragraph, ensure a well-rounded epic story but startle with their abruptness. Anna, Eleni's elder daughter, grows from a selfish, hateful child into a gorgeous, vain, and self-absorbed woman; it's a wonder anyone tolerates let alone loves her, but they do. Maria, her polar opposite, is a pure, gentle, and self-sacrificing soul, the epitome of kindness in all situations. And Alexis's boorish fiancé, Ed... it's clear she'll ditch him in the end, but why would she have stayed with the guy for five years? Despite the revelation of many family secrets, some mysteries still remain. After I settled in with it, the flaws became less noticeable, and I finished it in two days, which says a lot. Other readers have objected to the plethora of details on daily life, but I felt they enlivened the plot rather than dragging it down. Not the tragic, depressing book one might expect with such a somber topic, this is a thoughtful, relaxing, even uplifting read for a lazy weekend. If you're planning a trip to Greece, I'd definitely recommend it. 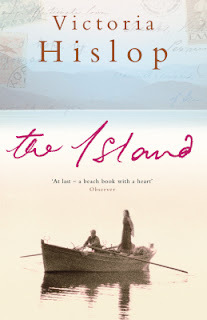 The Island appeared from Headline Review (UK) in 2005 and from Harper (US) in 2007. Sounds like drama. love it . love the title.